American singer-songwriter, model, poet and actress Jill Scott performs "Run, Run, Run" at BET's "Love and Happiness: A Musical Experience" on the South Lawn of the White House in Washington, DC on Friday, October 21, 2016. 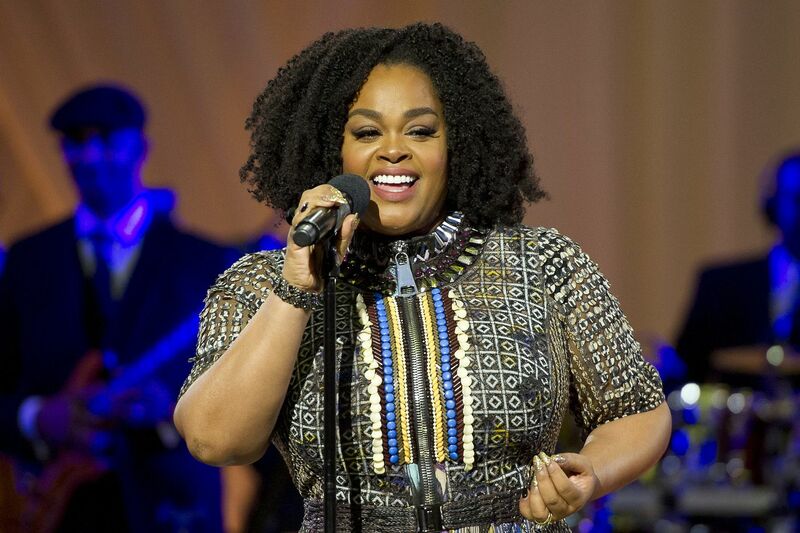 Philly's own Jill Scott has been tapped to star in Paramount Network's upcoming half-hour dramedy, First Wives Club. Set to debut next year, the series is an adaptation of the classic 1996 film of the same name, which starred Goldie Hawn, Bette Midler, and Diane Keaton. Scott, 46, will star alongside actress and comedian Michelle Buteau, 41, who has been featured on Comedy Central's Broad City and Key & Peele. According to a release, the series will focus on a group of women who "find strength in their sisterhood" after their marriages "fall apart." Jilly From Philly will appear as Hazel, a fading music superstar who discovers that her husband, Sean, has been unfaithful. Buteau, meanwhile, will play Bree, an uptight doctor and mom who learns to "break out of her shell" in the series after her husband cheats on her. Girls Trip writer Tracy Oliver will write the series, while Twilight producer Karen Rosenfelt will direct. The series is the latest for Paramount Network, which began a scripted series push earlier this year. Other series so far have included Yellowstone, Waco, and American Woman. In real life, the Grammy-winning Scott is currently going through a divorce from husband Michael Dobson, which is currently turning ugly. Earlier this month, TMZ reports, Scott refused to return five robes to Dobson after claiming he stole them from various hotels, which prompted Scott to foot the bill for the garments. First Wives Club is scheduled to begin filming in New York City this fall, according to a release.